Here how I begin my six day five night at lombok, total ten of us in this trip and planned by Song Song Travel Group , we all wake at 4.30am do preparation and start our journey from Petaling Jaya at 5.30am to KLIA2 to catch our flight that scheduled on 8.40am , it's took 3 hours flight from Malaysia to touch down at lombok International Airport . 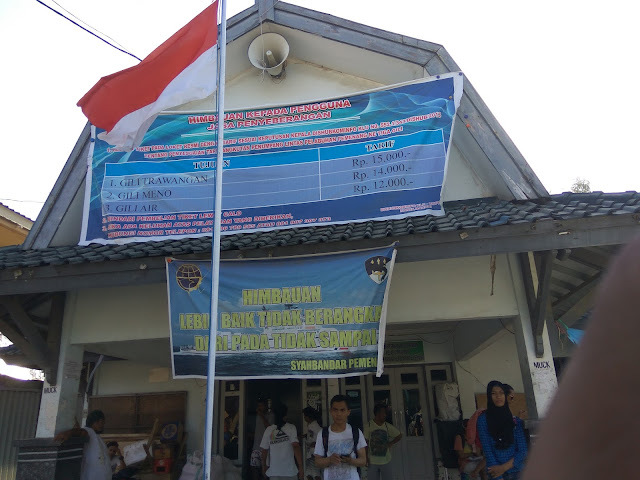 A small international airport in lombok only have five immigration counter that opened and only one luggage pick up deck . So , it's gonna take some times to get out from the airport terminal . 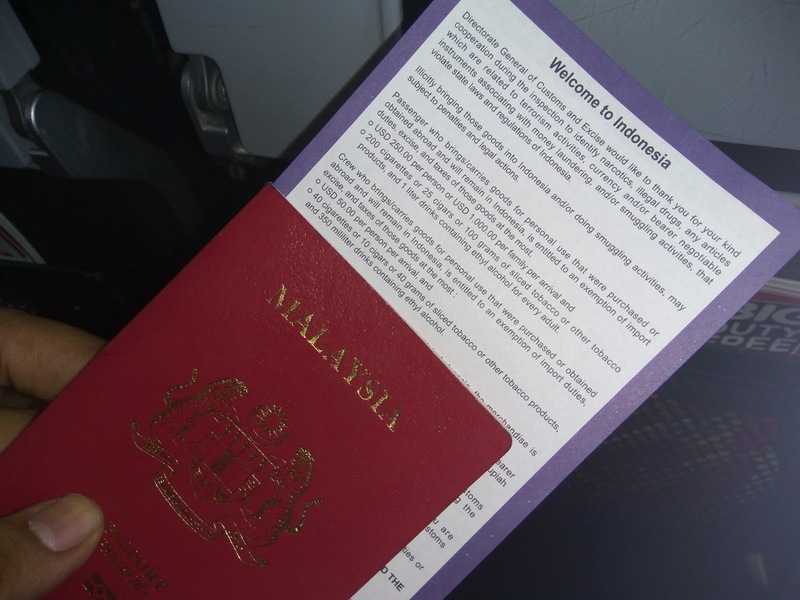 For traveling to Indonesia , there's need to fill up the arrival form like others countries too . Once we walk out the airport, We bought the local Sim card at airport that cost 40k rupiah for 2gb and There was few option of GB to choose from minimum 1GB and above... Guess what , there was on off internet received on the MT. Rinjani . Our friendly tour guide driver brought us to this kinda famous restaurant in Karang Taliwang to have our lunch , the distance of this restaurant is about 45 minutes from airport and there was no restaurant nearby airport . Lombok Island mostly majority is Islam and all the food here is halal . From the restaurant it's took half hour to reach senggigi area to check in our hotel called lombok senggigi hotel , 500k (RM160) per night and we will spend a night here . Welcome drinks just came in time after I took a refreshment bath , resting and relaxing at hotel until we went out for dinner . We ate typical Indonesian food here as our dinner and it was well prepared. Also we didn't have to wait long . walking distance from Hotel to Papa besar cafe was near . The next day early in the morning 2AM , M fetch us from Lombok senggigi hotel to Sembalun foot of Mount Rinjani . Here Comes the Tough Part , We spend two day one night and camp on the mountain . Click above to see more detail . From Sembalun , It's take two hours to reach Bangsal Jetty . Tt is Time for us to relax after the tough hike of Mount Rinjani , we will be on the most beautiful island of Gili Trawangan . Strongly Advice* , Please Take the public Ferry to approach Gili Island's . Don't Get Speed Boat that offers by locals , there was con man around we don't know who they are except it was recommended by Yours tour guide . In our case , We thought of getting to the islands ealier and it tooks 15 minute by speed boat , the Public ferry could take around 30 minute to reach the island . So we deal round trip with the Speed boat sales guy , after the price and everything was settle . 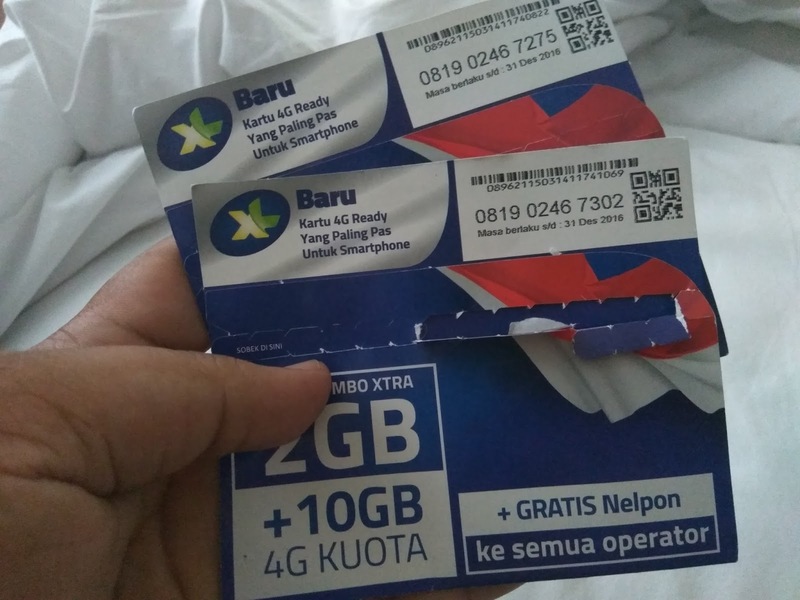 we manage to take speed boat and reach Gili Trawangan with no issue , an issue came when last day we boarding from Gili Trawangan back to Bangsal Jetty . The person that deal with us said we need to add money because we have extra three more person but we have deal before that and paid before we come . My friend was mad about this and we don't care and step in the boat straight away ask him drive us back to bangsal jetty and we discuss there . Once reach Bangsal jetty we directly walk into the Ticket counter and find person incharge , My friend argue with the person that dealing with us before and voice become higher "you orang semua tipu duit punya" then we didn't even give him a cent . that guy went missing while we discussing with the person incharge of official officer . they won't dare to do anything to hurt you so no worries and M came in time to fetch us away that day . If you dowan any of this trouble happens just get the Public Ferry to Gili's Islands . We were really impressed with this place and it was great value for money. The room was clean with a comfy bed and had a nice outdoor area , The location is ideal . - 750k (RM260) per night for two pax . 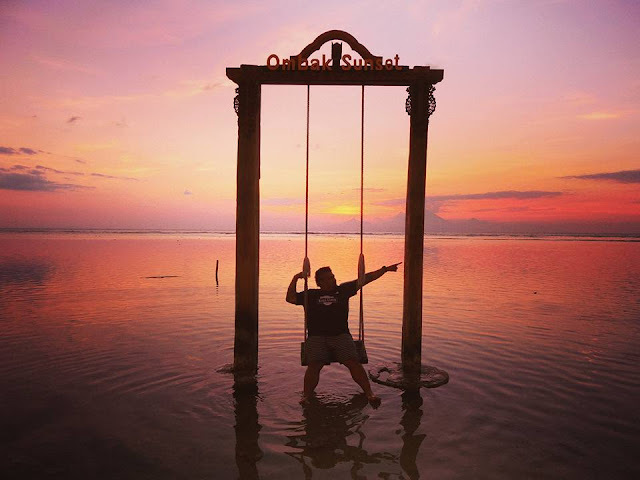 Cycling From Our Hotel to The Datu Swing takes about 20 minute ride to the west of Gili T. island , The Ombak Sunset resort on Gili Trawagan island reaches peak breathtaking-ness at sunset-time. ‘The Swing’, a wooden fixture with two swing seats built onto the ocean floor, is kind of amazing . Around 9:30 a.m. the boat leaves Gili Trawangan to the other islands . Later in the afternoon it will return after lunch from Gili Air over Gili Meno back to Trawangan . the prices range We get is 110k (RM36) Include all the snorkeling Equipment . Right behind the nightt Market on Gili Trawangan , there was a shop sells stamps and can mail out your postcards . 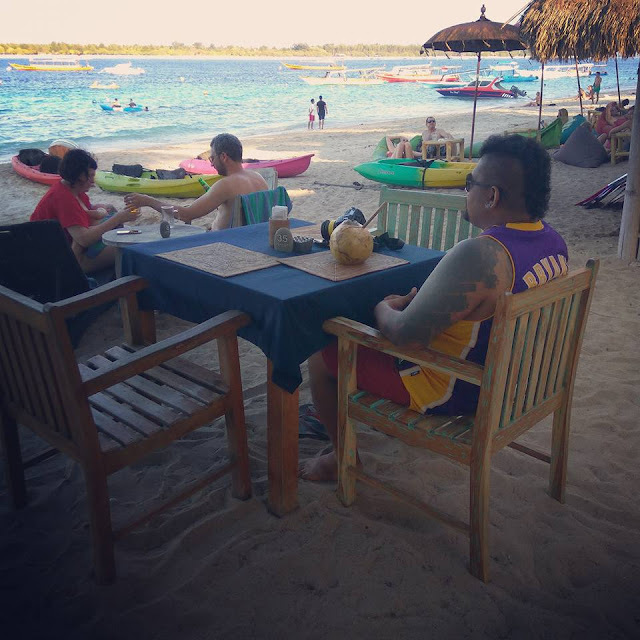 The last day on Gili Trawangan , comes with some emotional that Not willing back to reality life . Hope to stay for more but reality is reality can't even void it . The evening we relaxing by the shore having some coconut drinks watching awesome people walking around picking litter on the beach and others lay on the sandy sand tanning , some other enjoying stand up paddle or volleyball match . The last day In lombok , just came over from Gili TRawangan to catch up our flight tonight . M bring us to some stunning sightseeing in Lombok Island , the first stop was the Villa Hantu . The view is awesome when go trought this abandon cliff villa . 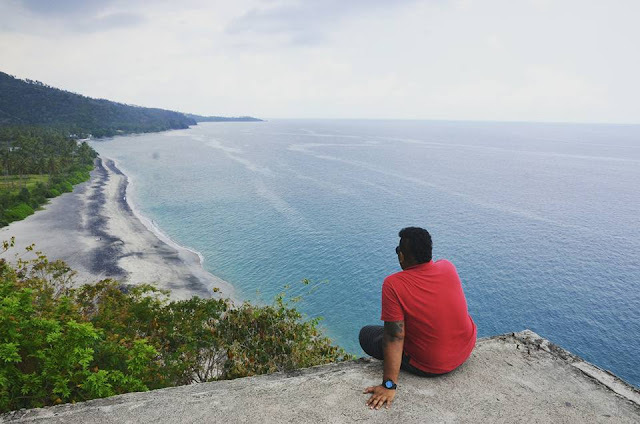 Last stop at Pantai Mawun , The beach is located between two others attraction locations , Selong Belanak Beach and Kuta Beach , Lombok Island have alot of beauty hidden behind the place . Lombok is most definitely still on my travel list for its unexplored exquisite beaches . Overall I had a great time in Lombok! 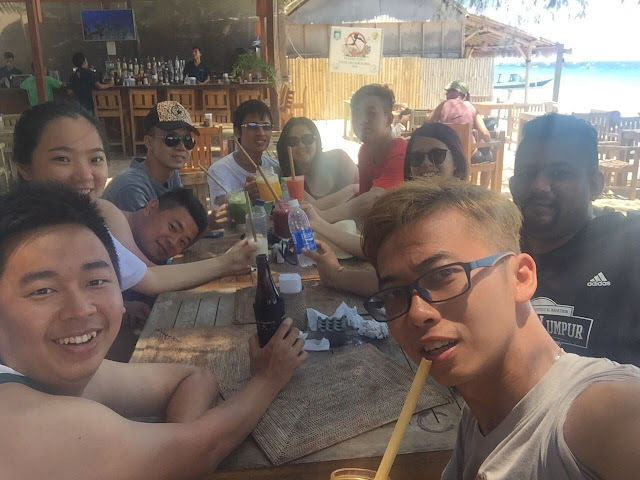 For all of you who want to have a lot of fun , chill and play with your friends you should go to Gili T , because there weren’t many nice restaurants , club , cafes and spa on the island however for you who want a relax and calm holiday , or a trip with your family, Lombok is definitely the place . Flight Ticket : RM4++ Air Asia . 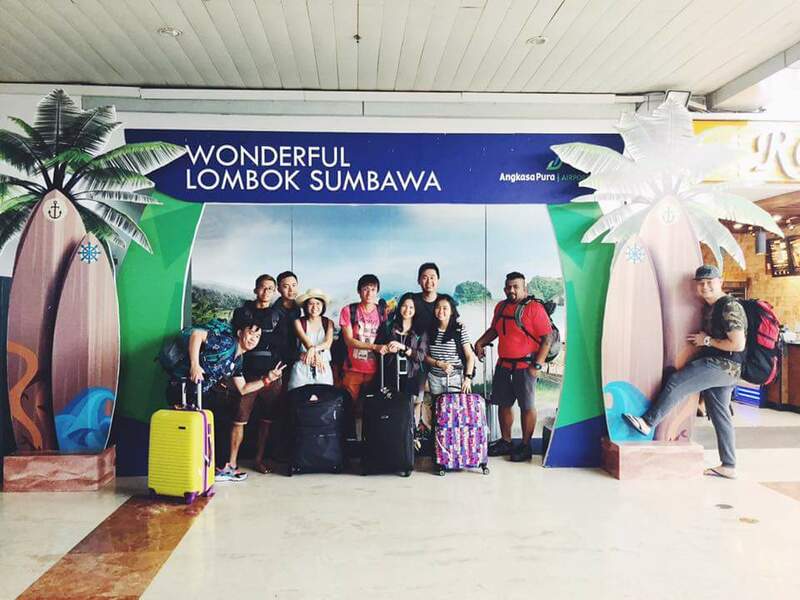 Airport Transfers to Lombok Senggigi Hotel : 300k(RM99) one car can fit for five . Lombok Senggigi Hotel : 500k(RM160) per night for two pax . 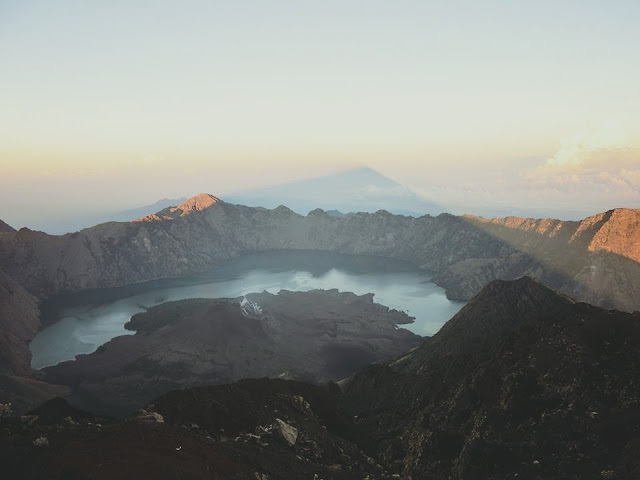 Mountain Rinjani Package : 1.8M (RM582) extra 100k (RM32) tips , Included with four porter and two guide . Trawangan Dive Hotel : 750k (RM260) per night for two pax . Bangsal Harbour to Airport : 350k (RM112) one car can fit for five . know what? sometimes i wish i can just take a month off, and just go on a vacation. Island destination like this is where I'll head to! The sunset view at 'The Swing' is so breathtaking. I'm so planning to reach there soon! Sunrise, Sunset, Beach, always my favorite preferred vacation place. So relax. I agree with Isaac, I need a month or two to fully enjoy these beauty! Or can I move there? The views at Lombok is beautiful! I hope Villa Hantu doesn't live up to its name (literally) lol. I think I have one more place on my (never ending) to-travel list. love this post alot, no go there before. after reading your post I feel like want to visit to this beautiful place! :D Hope can visit soon! Lombok is in my list. I thought of going there this coming Jan 2017 but to cancel. Beautiful photos. What a great time you guys had, except for the experience with the speedboat. Well, you only saved 15 minutes compared to the ferry. Ah the famous Gili Trawagan island. Is it hard to take picture there? Do we really need to line up to take turns? The place really like heaven . 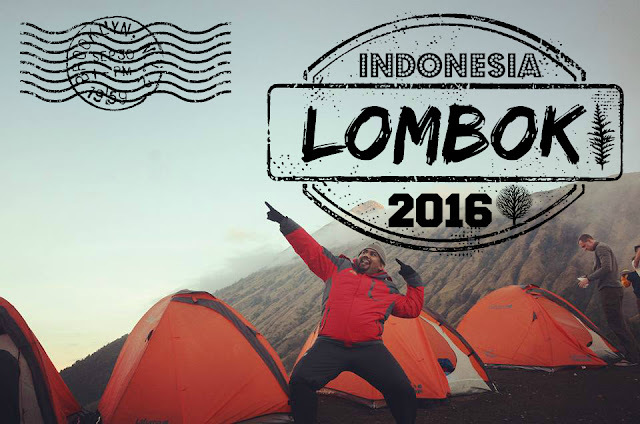 next year I can plan my trip to Lombok. seems nice. i would love to visit. missed it last year as it was a volcanic eruption on the date. I wish to go there in future.. Your photos looks amazing!